“MIX” takes place 26 years from the story “TOUCH”. From the legend left by the hero of “TOUCH”, Tatsuya Uesugi, Meisei Academy High School was well known for their strong baseball team. 26 years from their glory, the team has not been able to keep their record and lost their fame. “MIX” is about two stepbrothers, Soichiro and Toma Tachibana. The two aim to revive of the once strong Meisei Academy’s baseball team and enter the National High School Baseball Championship. Soichiro and Toma were second years in Meisei Academy Middle School. Both boys are talented baseball players. Soichiro has shown excellent skill as a catcher and batter. Though having an extraordinary skill as a pitcher, Toma no longer pitches due to a “certain reason.” Once he two enter High School, they pair as a battery and aim to enter the National High School Baseball Championship! The passion and devoted emotions will touch your heart! 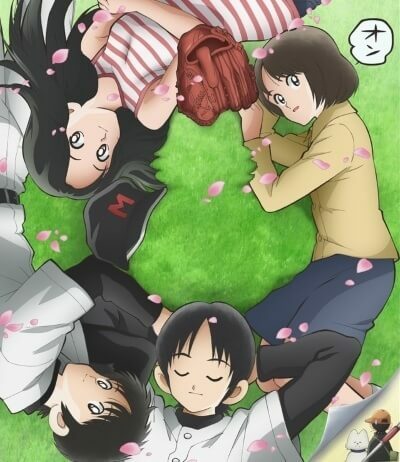 “MIX” is an high school baseball drama that all ages and genders can enjoy!